Something that Jay probably knows about me more than anyone else is that I watch documentaries constantly. CON-STANT-LY. I throw them on when I'm getting ready in the bathroom in the morning, I listen to them while I'm plugging away at the office, I watch them on the bus home ... I'm always watching documentaries. I just love how entertaining and informational they are all in one quick swoop. I generally stick to my three favorite categories when I'm on the hunt to be entertained: WWII, crime & fringe religious groups. However, when we finalized a move to San Francisco, I changed my tune and started exclusively picking ones about the city so I could arrive as a local armed with a little bit of knowledge outside of the fact that the GG Bridge is "like an orangey-red color". And some of my favorites were all about the Castro district. I knew its reputation but getting to the root of its history and how that came to be was eye-opening and I couldn't wait to explore the hood as soon as we were there. And I can't lie, outside of its historical merit, what girl doesn't want to go kick it with a host of gay men? 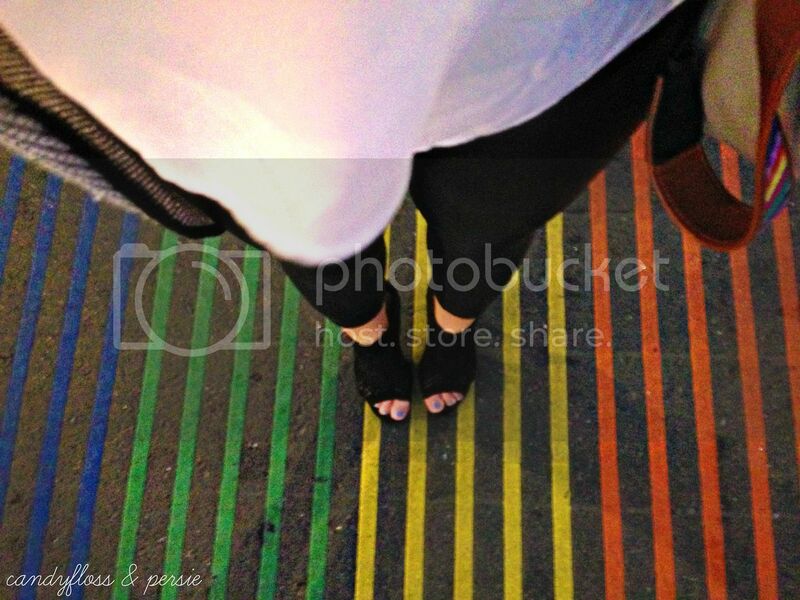 ^Full spectrum of colors at the rainbow crosswalk. ^It looks like I'm posing in front of a store at an airport and while I like the HRC a lot, I was really just honored to be at Milk's old camera store (which is now the HRC). ^I'm sure it's obvious in all the images above which were taken with me good ol' grainy iPhone. 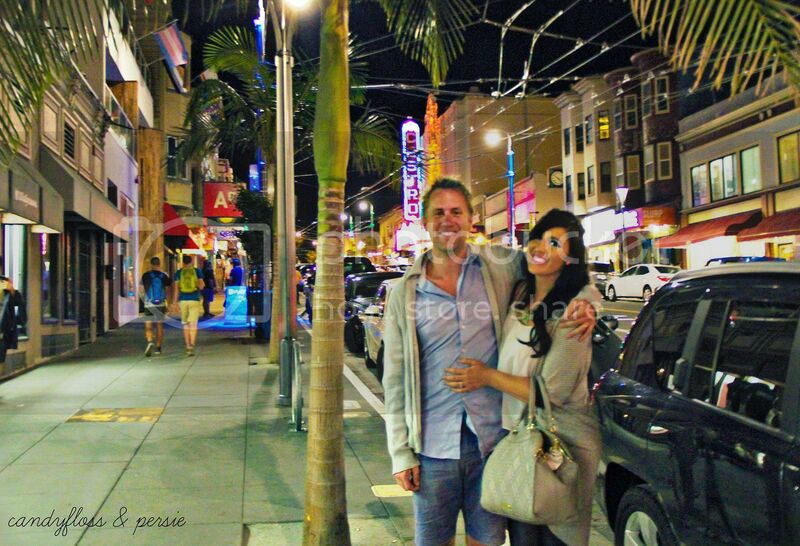 We only had about 30 minutes of roaming time in the Castro before we had to move on with the night and stop taking pictures but I am definitely going back soon with more time. 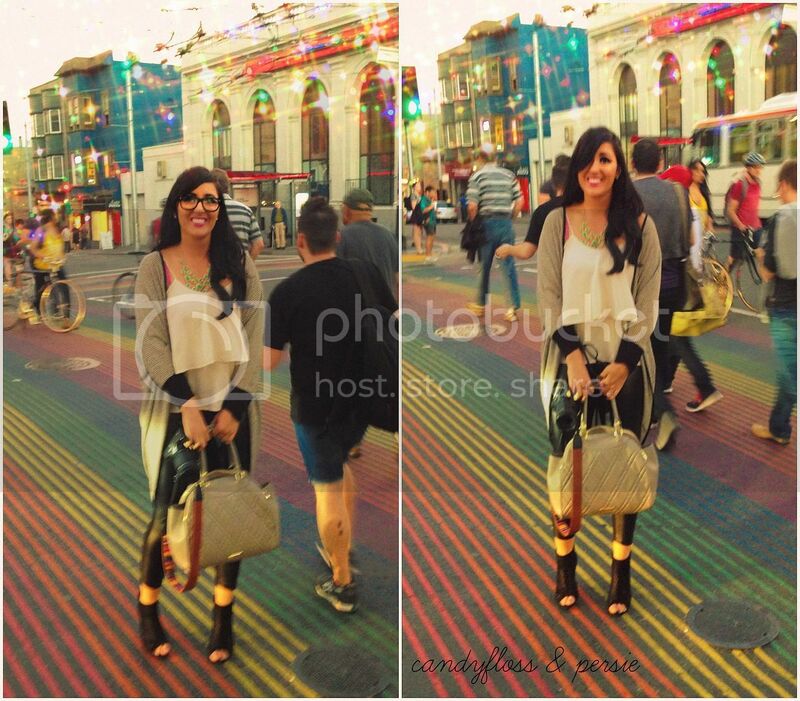 The bright lights of the signs perfectly mirrored the vibrant personality that flourished everywhere. I wanted to go in more stores, talk to more people and take photos of all the life around me. Alas, it'll have to wait until another day. The nightlife is seemingly just as fun as I ended my evening on the dance floor belting out Spice Girls & Britney Spears. Which brings me back to my first question: What girl doesn't want to go kick it with a host of gay men? Surely no one I would be friends with. And in the words of another artist playing that night: Bye Bye Bye! Looks like you guys had a good time- and loving your neutral layers, lady! It looks like you were having an amazing time. So I'm just now getting around to catching up on blogs and I have to say, I love your new blog design. Gold on gold on gold! 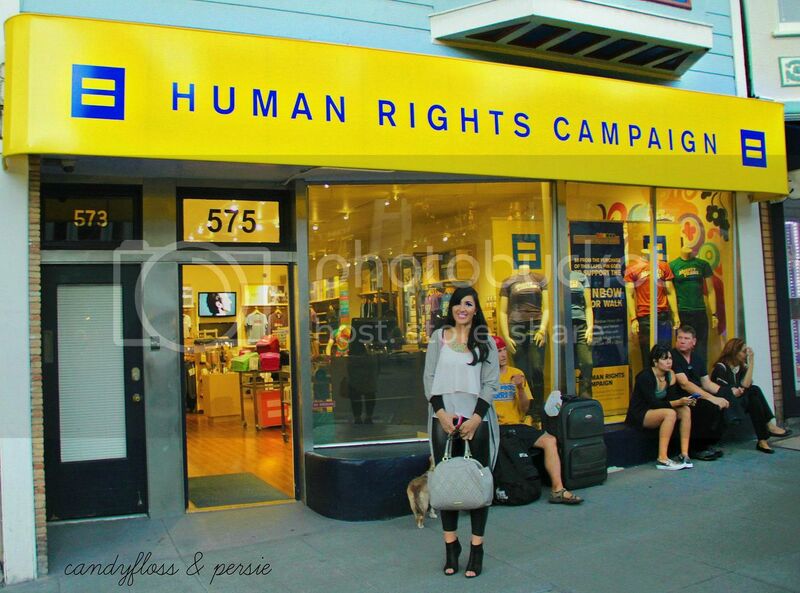 San Francisco is one of my favorite cities but I haven't heard about or explored the Castro! I will put it on my list for my work trip next year! How far is it from the Financial district? The new blog design looks fabulous!! 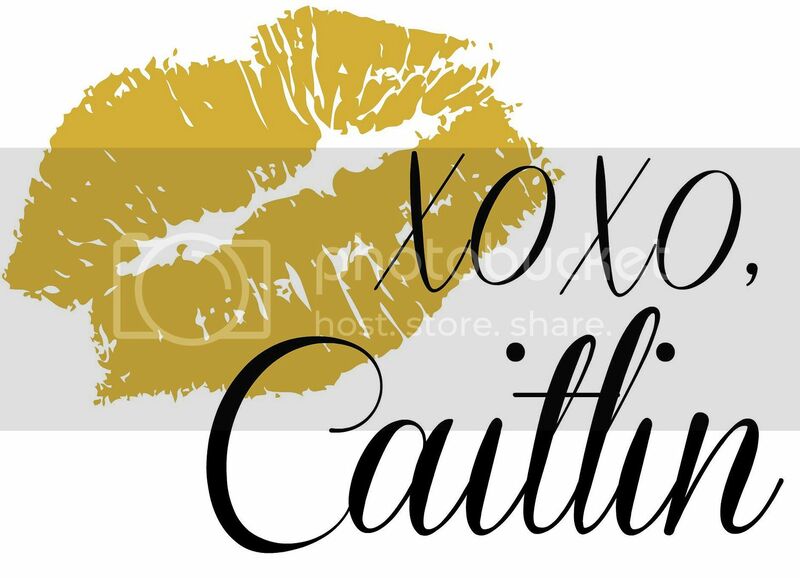 Loving seeing these snaps of your new life in your new city!! All of this is amazing. You're making fun of your weekends and you get to hang out Harvey Milk's old neighborhood?! So jealous! I desperately want to visit! So much incredible history there. Also, I seriously love your glasses. Oh my gosh. 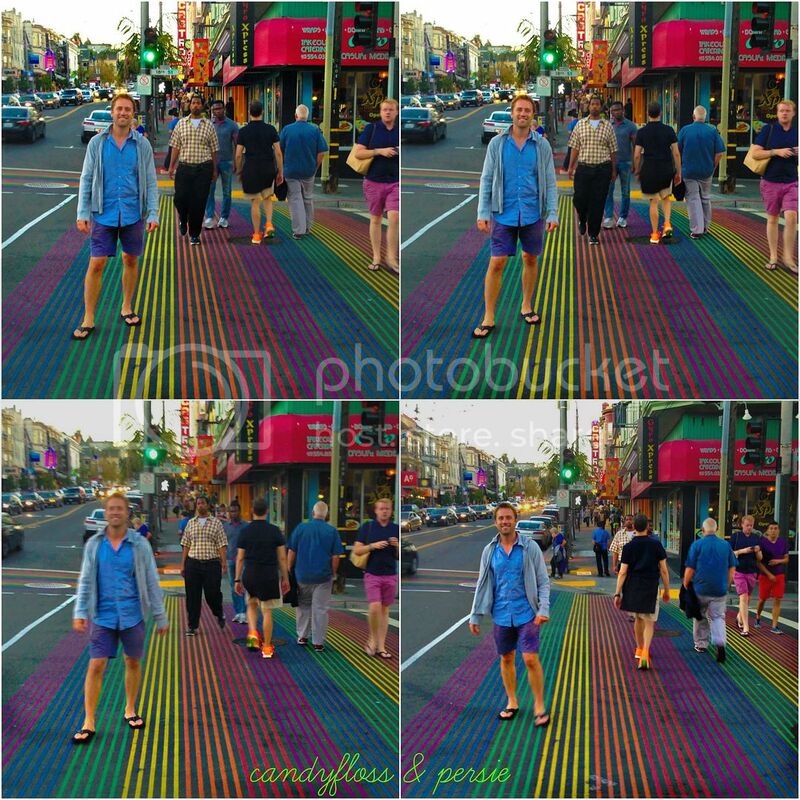 I legitimately need to go there and pose on that rainbow crosswalk. 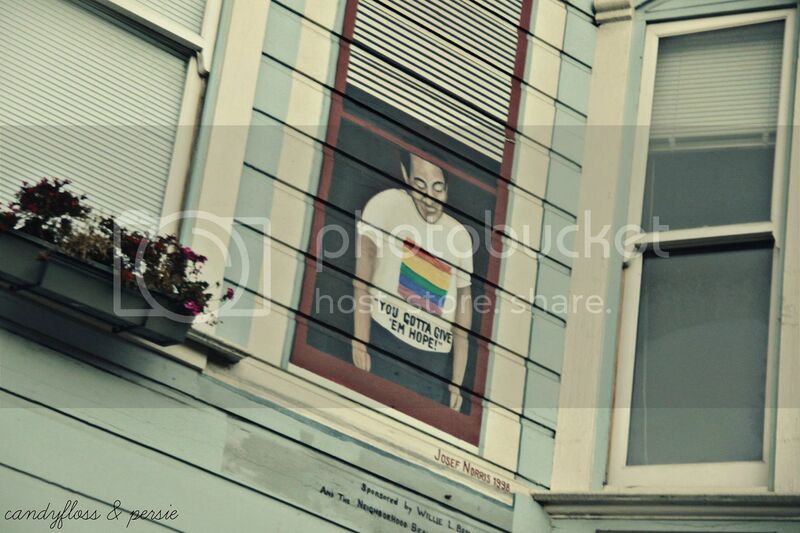 And I want to walk around Harvey Milk's neighborhood! You too look great and I'm glad you're enjoying Nor Cal. Hopefully you'll get to travel CA and enjoy So Cal too. How cool! And I love your outfit! 1. How did I only JUST find your blog? I love it!! You're so frickin' cute! 2. 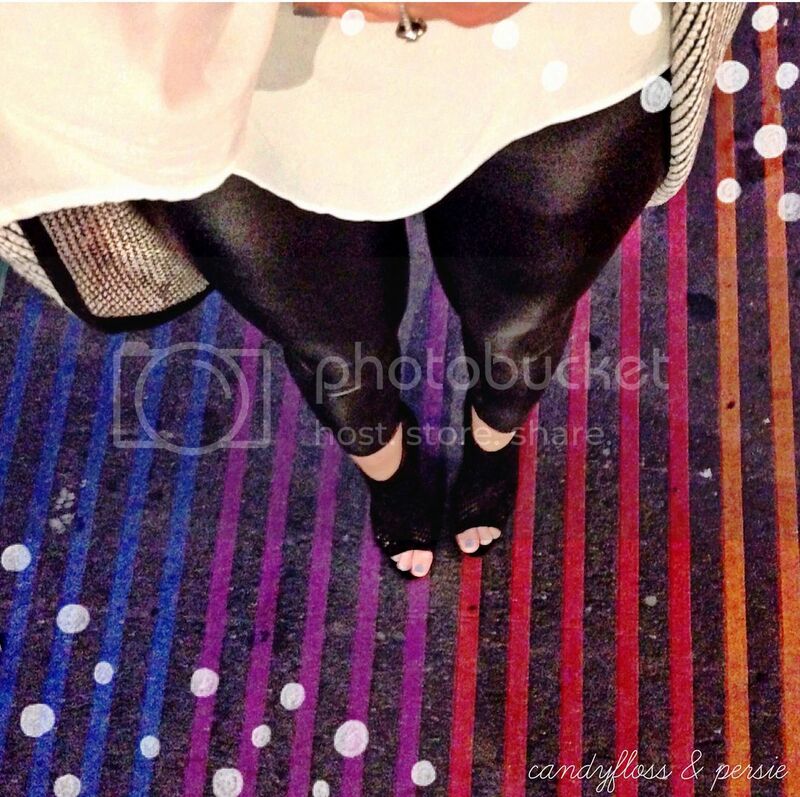 Can I come and go with you to the rainbow street because c'mon, it looks like a freaking blast! So cool! 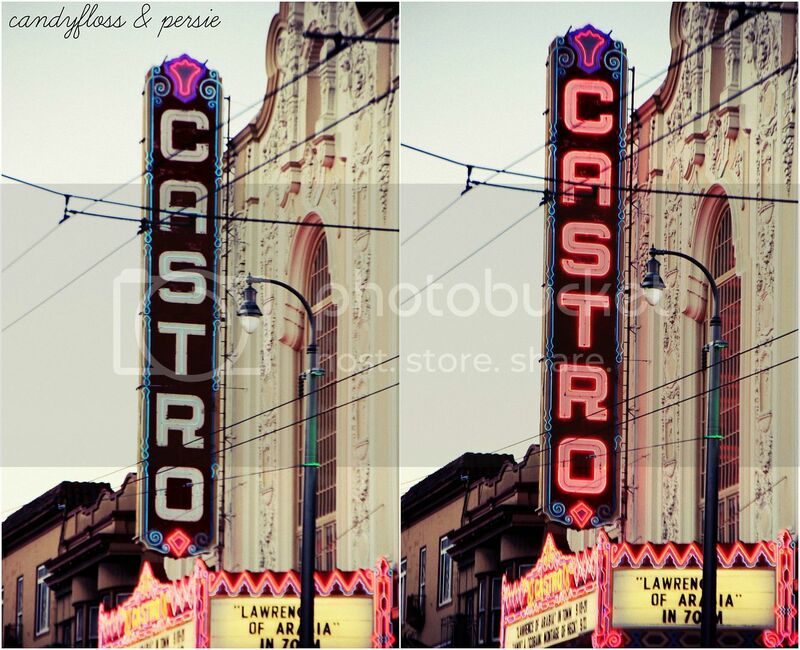 Whenever we take a trip to SF now I'll be sure to add Castro to my list of places to stop by! 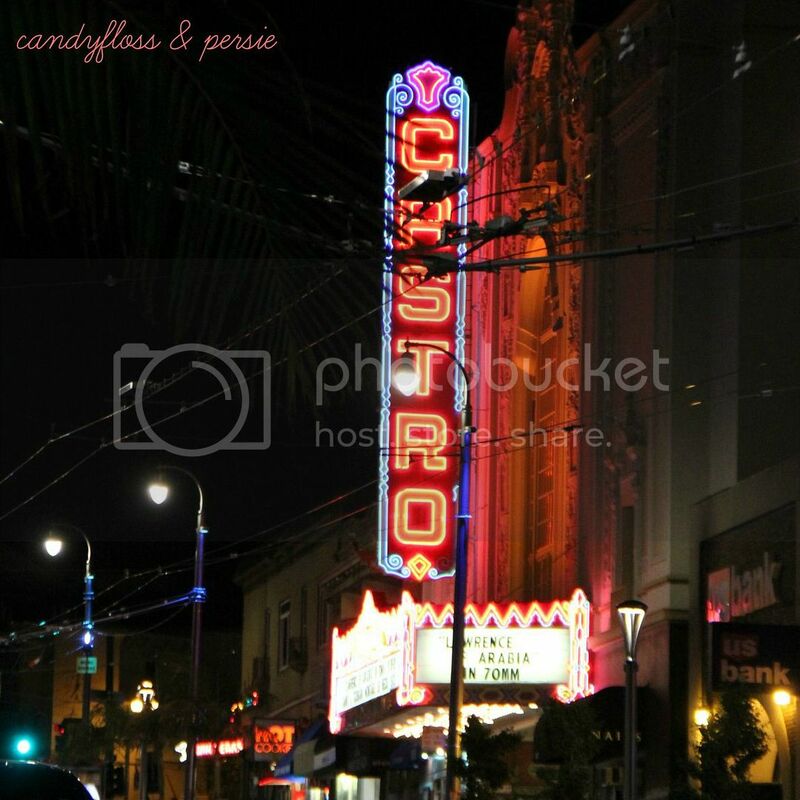 We didn't get to the Castro when we were in San Francisco, so thank you so much for sharing! We'll definitely stop in there on our next visit.